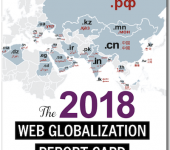 UPDATE: The 2017 Web Globalization Report Card is now available. More than ten years ago I set out to create a report that benchmarked global websites. 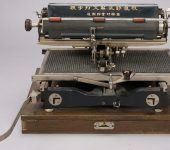 I looked at languages supported. 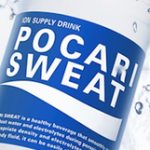 I studied the localized websites. I interviewed the executives who managed these sites and learned what was working and what wasn’t working. And the end result of that work become The Web Globalization Report Card. There was nothing else around like it. Most companies at the time supported fewer than 5 languages so many executives didn’t even see the need for such a report. Google is no stranger to the top spot. 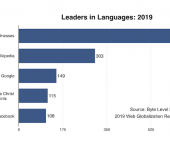 Given the company’s focus on supporting so many languages across so many products, the company didn’t really face much competition this year. Granted, I still think Google needs to improve its global navigation. I know the company has been working on “harmonizing” its navigation across products, but the “global gateway” remains elusive. And that’s still a work in progress. But even with this downside, Google remains the leader. Hotels.com and Facebook more or less held their own over the past year. But there were more interesting developments further down the list. For example, Starbucks continues to improve its global website, adding languages and modifying its global template. 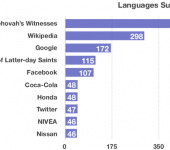 And it remains a leader in local-language social engagement. Its global gateway still needs work though. NIVEA did much better this year due in large part to its investment in image localization. Check out NIVEA’s many local websites and you’ll see what I mean. It’s very interesting to see four travel services companies in this list: Hotels.com, Booking.com, TripAdvisor, and Kayak. These companies continue to prove that the travel services sector is among the most competitive when it comes to web and mobile globalization. It’s also worth highlighting companies like Cisco, Philips, IKEA, and Microsoft — all of which have become regulars in the top 25 list, and for good reason. 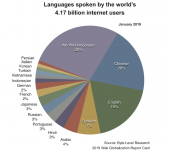 Did you know the average number of languages supported by these 25 websites is 50? Even if we were to remove Wikipedia, which is a true language outlier (in a good way), the average would still be above 45 languages. These companies also generally do a very good job with global gateways, support for country codes — as well as backend technologies like geolocation and language negotiation. In other words, they invest in making local content easy to find for users around the world. They all do an excellent job of supporting consistent global design templates. This is one of the most important web globalization best practices — one that has clearly stood the test of time. 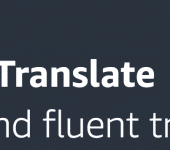 These companies invest more heavily than most companies in localization — which isn’t just about translation. There is support for local-language social platforms, localized ecommerce, customer support, and culture-specific content and promotions. 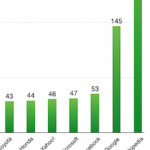 Congrats to the top 25 companies and the people within them that have long championed web and mobile globalization!